Jeff Slutsky specializes in developing and implementing local store marketing programs for multiunit operators. 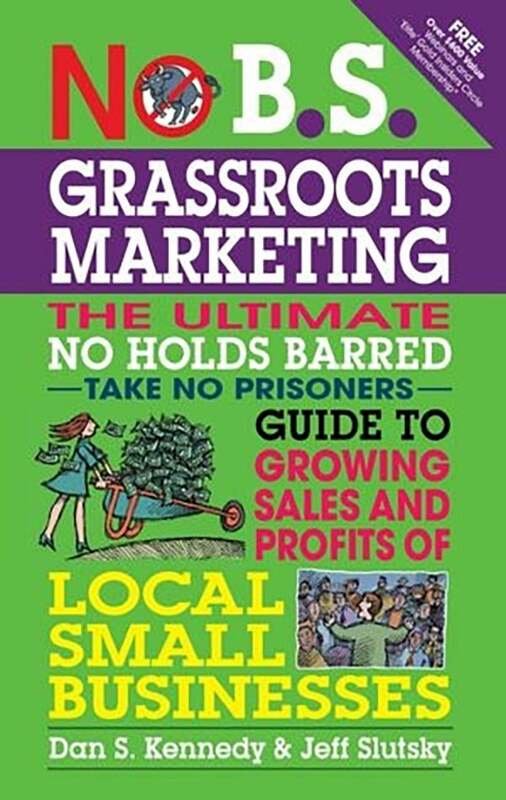 He's co-author, with Dan Kennedy, of No BS Grassroots Marketing (Entrepreneur Press, 2012). Often the best ways to spread the word about your business to local customers cost the least. Here are some tactics to try before spending the big bucks. If you're interested in testing the social coupon waters, consider these four tips to help increase your likelihood of success. You Are in a Fight for Your Life. As a local small business you're vulnerable to distant online discounters, big box retailers, and other competition, you've got to do more than merely get customers--you have to keep them FOR LIFE. And, you have to win them over where your competition can't--at the street level. Kennedy and Slutsky present local business owners, retailers, service providers, restaurateurs, and professional practice owners with a tactical grassroots marketing plan to help increase customer retention, generate greater referrals, and build a thriving business for the long-term.